Look! Up In The Sky! 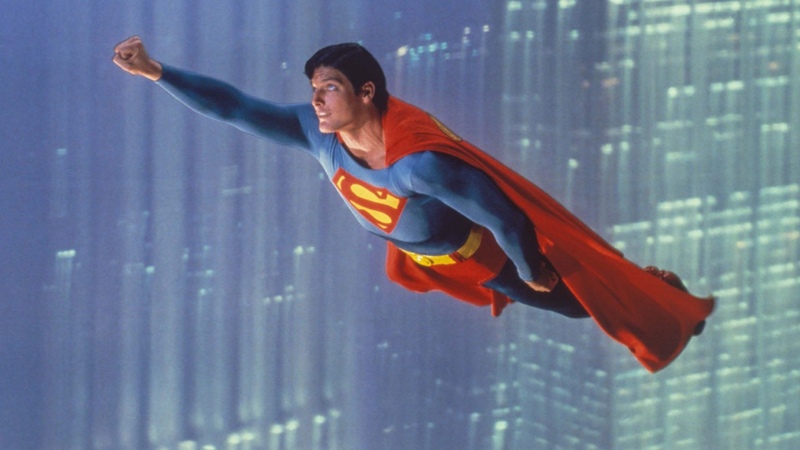 Superman: The Movie Turns 40! This month marks the 40th anniversary of the first big budget superhero movie of cinema, Superman: The Movie. It truly is one of the most influential films of all time and is still considered one of the best superhero films ever made. That is no small feat considering all the high-quality superhero films that have taken over Hollywood. But it was not always like this. Back in the day, superheroes were something to be mocked and considered strictly for children. So, superhero films were a rarity. That all changed in December 1978 when Warner Bros. released the large-scale, live-action adaptation of DC Comics’ Superman. Sky High Expectation – Delivered! When released in theaters in 1978- a year after Star Wars, Superman was a commercial and critical success. There are several reasons for this achievement, so, let’s go over them. Start with the perfect casting of Christopher Reeve, who many still regard as the perfect Superman. 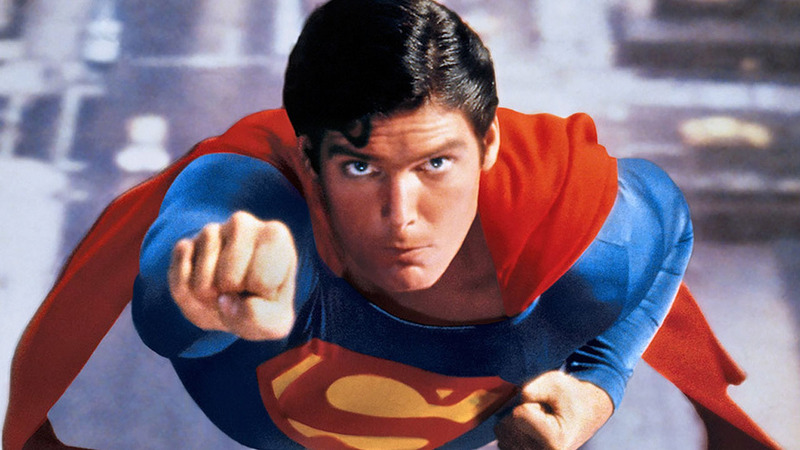 For audiences leaving the theaters back then, and rewatching at home decades later- we hear from so many of them who declare that Christopher Reeve IS Superman. No other actor at the time could have successfully portrayed the greatest superhero of all time. When it comes to the big-budge superhero film, Reeve was the first one to be perfectly cast. These days, there are so many spot-on castings in superhero films, but he was the first. As a respected Julliard graduate, Reeve’s dual role of the nerdy Clark Kent and the heroic Superman was like opposite ends of the spectrum. It was and still is amazing to watch. As Clark, his intention was to be seen as a shy, bumbling pushover, always tipping his oversized glasses to the top of his nose. Certainly not the center of attention, he purposely puts himself into Lois Lane’s “friend” zone, an unwanted role for any guy (it’s worse than being banished to the Phantom Zone!). But Reeve’s Superman secretly enjoys teasing Lois to make her have to be close to the bumbling Clark. Reeve’s look were perfect for the superhero. When he took the role, Reeve underwent an intense bodybuilding regimen and it showed! Not only that, he had the face of Superman as seen in the comic: square jaw, leading man looks and a robust mane of hair fashioned with the distinct “S” curl. Even in today’s comics, most artists draw Superman with this curl. For fans, this completes the look. The film boasted a star-studded cast whose talents complimented Christopher Reeve; notably Marlon Brando, Gene Hackman and Margot Kidder. Each actor set the template for how their alter egos were in live-action that in many cases have not been topped. Then, there was the perfect directing by Richard Donner, who demonstrated a true understanding of the heroic, epic and sincere tone for the film. Unlike many potential directors considered for the job, Donner respected the character and it showed on screen. He helped present a Superman that was true to his comic book image and made him someone anyone could look up to. Let’s not forget the timeless score by John Williams. His soundtrack was so stirring and epic. It captured the essence of Superman to the point that 40 years later it is still considered the character’s theme. Hum a few bars of the theme and anyone can tell it’s the Superman theme. Sorry, Hans Zimmer. Another person who helped elevate Superman: The Movie was costume designer Yvonne Blake, who made Superman’s costume look like it leapt straight out of the comics. Richard Donner asked Blake to make Superman’s costume true to the comics. She referenced the Bronze Age Superman from DC artists Curt Swan, Neal Adams and Jose Luis Garcia Lopez. The costume was so accurate, it was impressive! The way the cape stemmed from an open collar in pleated folds; the oval yellow belt buckle, the “M” shaped top of the boots; the yellow S in the back of the cape, and the colors were just perfect. The other costumes were also cool to see- the white, glowing Kryptonian outfits, each with their own family crest symbol on the chests and the three Kryptonian villains dressed ominously in jet black. When Superman: The Movie premiered a key concern among fans was over the special effects. It was vital that the film, as its tagline promised, made us “believe a man can fly”. Superman’s flying effects had to deliver, and they did. Christopher Reeve’s aerial acrobatics were so fluid and natural that even though the effects are dated now, back then they sold the tagline. The Oscar-winning special effects utilized analog optical effects, and many techniques were invented for the movie itself and used in other productions thereafter. The set designs by John Barry were just jaw dropping, including the otherworldly crystalline planet Krypton, a starship literally designed to look like a Art Deco depiction of a star and its rays; and the imposing and majestic Fortress of Solitude. Henry Cavill, Superman No More? Let’s be frank here, how can Warner Bros. and DC let one of the few bright spots in their struggling cinematic universe leave? Superman is the originator of the DCEU being that Man of Steel was the first film. It was a successful revamp of the character’s films, though it has its critics. Sure, it was not a runaway success, but it fared better than the ill-fated Superman Returns, so why isn’t there an actual, proper sequel to Man of Steel? 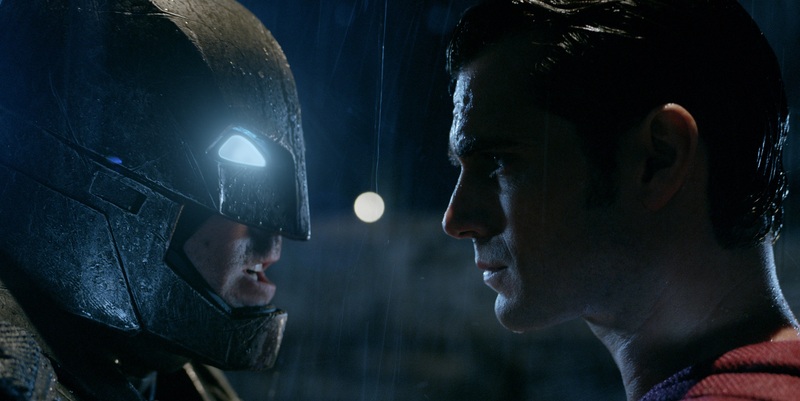 Most fans know that the sequel morphed into Batman v Superman: Dawn of Justice, where Superman was forced to share the spotlight with Batman in a clumsy attempt to adapt the famous comic book storylines, “The Dark Knight Returns” and “The Death of Superman”. What is frustrating is that Batman v Superman: Dawn of Justice had the elements of a great Superman film in there. It followed the aftermath of Man of Steel where the world reacted to the existence of Superman, a powerful alien living among humanity. It showed how many people were uncomfortable with this. A proper sequel could have developed this theme more, included the Lex Luthor story, how he created something to kill Superman and end with his death. This would have had more of an impact with audiences as people would have been more explicitly remorseful over how they treated Superman and realized that he actually was a force of good. Then a third film could have adapted the entire “The Return of Superman” stories, introduce other heroes, and lead up to the Justice League. But no, Warner Bros. felt they had to rush out their answer to The Avengers and we all know how that turned out. This is not a criticism of Justice League, which was enjoyable, but the entire DCEU by that point seemed so rushed and hastily executed. Ever since the failure of Justice League, the DCEU has been adrift with announced then abandoned films. We still don’t know when a standalone Batman film will come out. It may be one thing if a Batman film was actively developed with Ben Affleck on board to play the Caped Crusader. This may have softened the blow of Henry Cavill no longer playing Superman. But it’s becoming clear that Affleck is done with the role and the proposed Batman film seems to be in limbo. Instead we get announcements of secondary characters and concepts like Supergirl, Gotham City Sirens and so on. What the film studios fails to realize is that they are abandoning the heart and core of DC. Yes, Batman is the most popular DC hero, but Superman is right up there, and without those two, the DCEU now feels crippled and aimless. 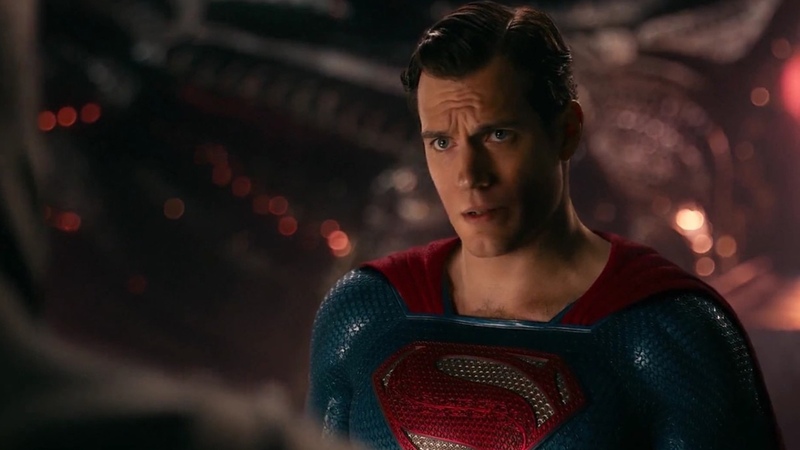 What is worse is that aside from the CG mess over mustache removals, Superman (and Cavill’s performance) was considered the best thing in Justice League because he was a bright beacon of hope. In other words, the proper way he should have been presented. There are many stories and rumors circulating about what happened. It appears that Henry Cavill either wants more money and/or is getting impatient over the lack of progress over a new Superman film. Meanwhile, the film studio is hesitant to greenlight another Superman film because they think it won’t make much money. The thing is, aside from Wonder Woman, none of the DCEU films have been true blockbusters and Man of Steel is considered to be one of the best DCEU films. Plus, Cavill’s star power is on the rise thanks to his praised appearances in films like Mission: Impossible-Fallout. Now he has signed on to star in the upcoming TV series The Witcher for Netflix. This was a clear clue that he would not return to the DCEU. Warner Bros. is being extremely short-sighted and obtuse in their unwillingness to increase Cavill’s salary and produce another Superman film. Of course, this could all be one massive and public game of chicken where the film studio and the actor are trying to negotiated the best deal. Who knows? 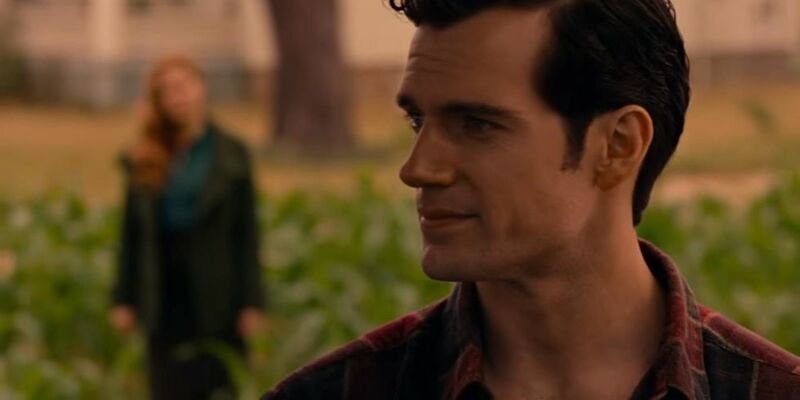 For all we know this could be a ploy by Warner Bros. to see how much demand there is for another Superman and wanted to see what the reaction would be if it “leaked” out that Cavill was leaving. Well, all of this certainly got our attention! 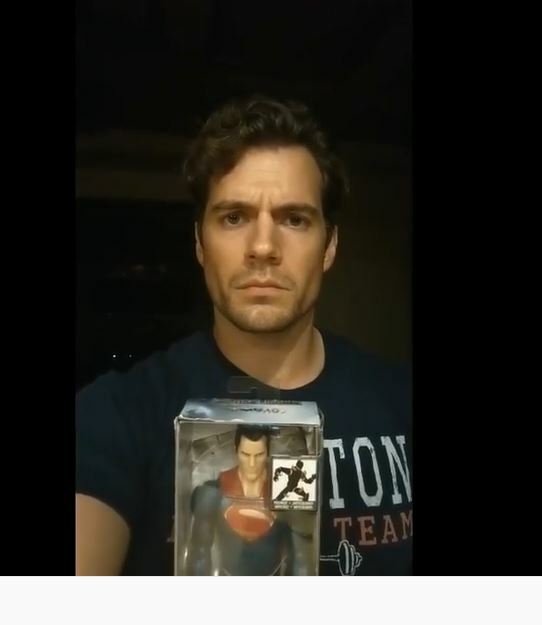 What is not helping the anxiety felt by fans are the non-answers given by Warner Bros. and the bizarre Instagram video by Cavill where he holds up a Superman figure. Is he trying to tell us that he is done with Superman? Let’s not forget the rumblings that Michael B. Jordan is allegedly being considered to take over the role. Saying all of this is exasperating is an understatement by impatient fans who are still waiting for a proper Man of Steel sequel. If it never happens or Cavill doesn’t return, and with the Batman film in disarray, the film studio might as well pull the plug and kill the DCEU. After that, wait some time and reboot the entire thing, except this time have a clear leader who can properly guide their superhero cinematic universe. But no matter what happens, at least we got to behold Henry Cavill’s superb performances as Superman/Clark Kent. 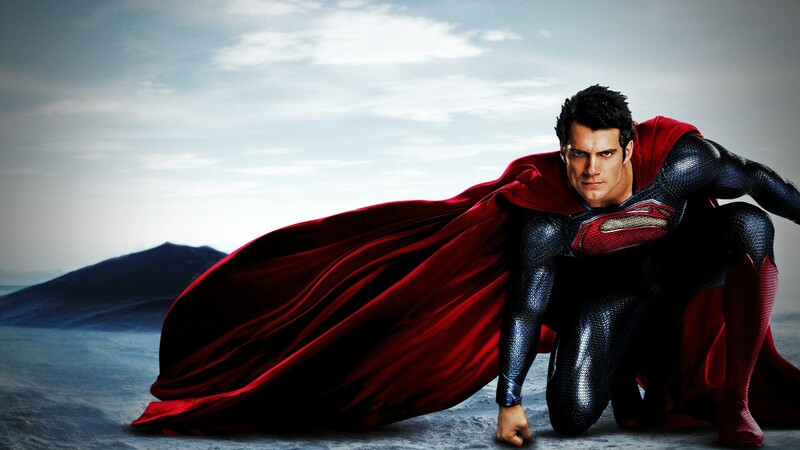 Just like Christopher Reeve, Cavill will be Superman forever in our hearts. By Starloggers  Posted in Comic Books, Entertainment, Everything Under the Sun, Movies, Sci-Fi, Speculation & Analysis, superheroes	 Tagged Batman, DCEU, Henry Cavill, Man of steel, Superman, Warner Bros. This month marks the five-year anniversary of the beginning of the DC Extended Universe (DCEU( and the film that started it all, Man of Steel. This film brought the most iconic superhero, Superman, into the modern age with incredible visuals and a very interesting take on his origins. The film starts as expected on the doomed planet of Krypton and shows Superman’s father Jor-El (Russell Crowe) and the beginning of the feud between the House of El and General Zod (Michael Shannon). The planet shown is very unique and has a wonderful sci-fi aesthetic that is a radical departure from the cold, crystalline Krypton shown in older Superman films. 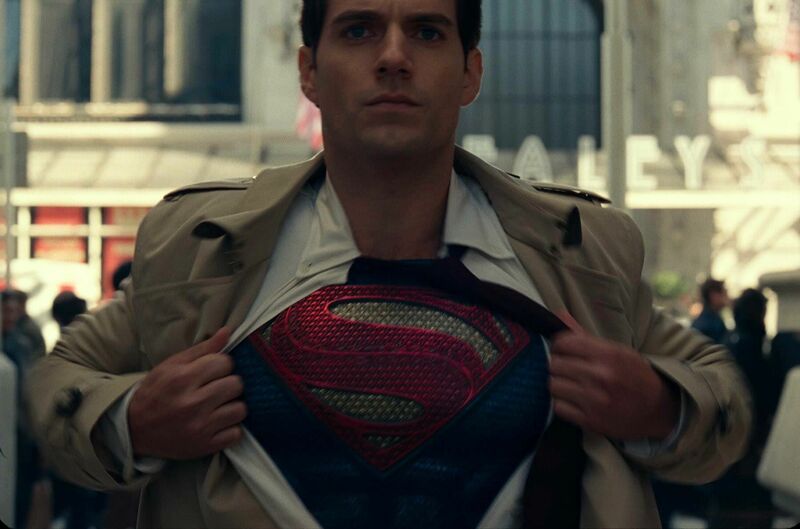 After Jor-El’s infant son, Kal-El, is sent to Earth, the story shifts suddenly to present day where Kal-El, now called Clark Kent (Henry Cavill), is now a grown man unsure of who he is and where he came from. His life as a child on Earth is told in flashbacks and shows how difficult it was for a boy with superhuman powers to try to lead a normal life. 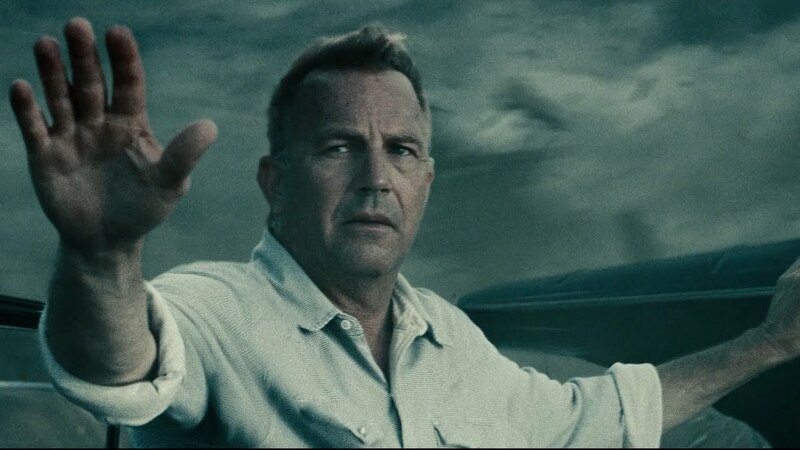 Lessons from his adopted father Jonathan (Kevin Costner) include trying not to draw attention to himself until he was ready, even if it meant not saving those who were in danger. This harsh lesson would haunt Clark later in the film when tragedy strikes the Kent family. Man of Steel presents a startling depiction of the title hero as it focuses on Superman’s uncertainty about himself when he learns of his alien origin and during his battles with Zod after he arrives on Earth. This is sharp contrast to previous depictions of Supes, where he is more accepting and confident of who he was. However, in the end, Superman is able to defeat Zod and start his journey as Earth’s greatest hero. 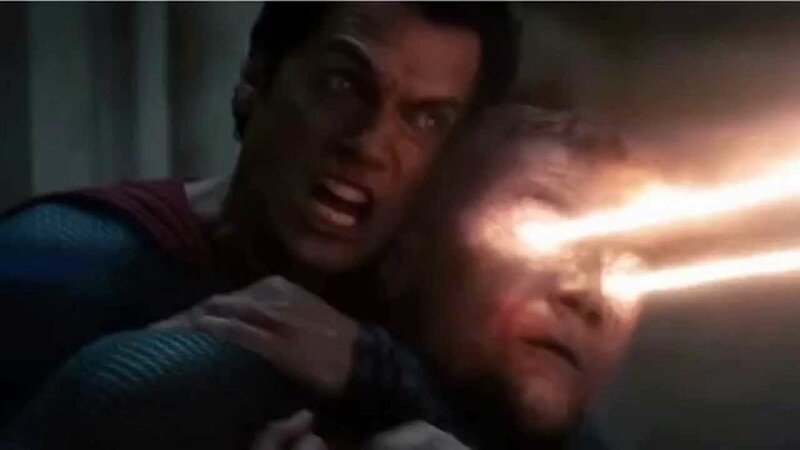 The battles between Superman and Zod and his henchmen are thrilling to watch and culminate in Superman having to kill Zod in order to save civilians from being killed. This was a divisive thing as many fans balked at seeing the Man of Steel killing someone. The large-scale collateral damage across the city Metropolis caused by the epic battle was also controversial among fans. This different take on things carries on throughout the rest of the DCEU, where Batman is shown as a bitter and cynical crime fighter of 20 years, at the end of his rope, and Wonder Woman is in hiding after dealing with a century of war and heartbreak in Batman v Superman: Dawn of Justice. The new depiction of these characters has been controversial and the mixed reception to some of the DCEU films has led some people to want Warner Brothers to reboot the whole thing but this would be unwise. To date there are already five DCEU films released with three more filmed and in post production (Aquaman, Shazam and Wonder Woman 2). You don’t cancel a franchise eight films into it. What WB seems to be doing now is focusing on standalone films as opposed to team up epics like Justice League. This in part due to the disappointing box office for Justice League. Going back to basics gives DC an opportunity to recapture what Man of Steel did so well, which was to have a streamlined film with great action and a focus solely on the heroic character without having to establish a number of other characters that WB was quickly trying to introduce. Now that those introductions are out of the way, they can now take their time to fully explore these heroes. Hopefully this will begin with Aquaman, which is coming out this December. 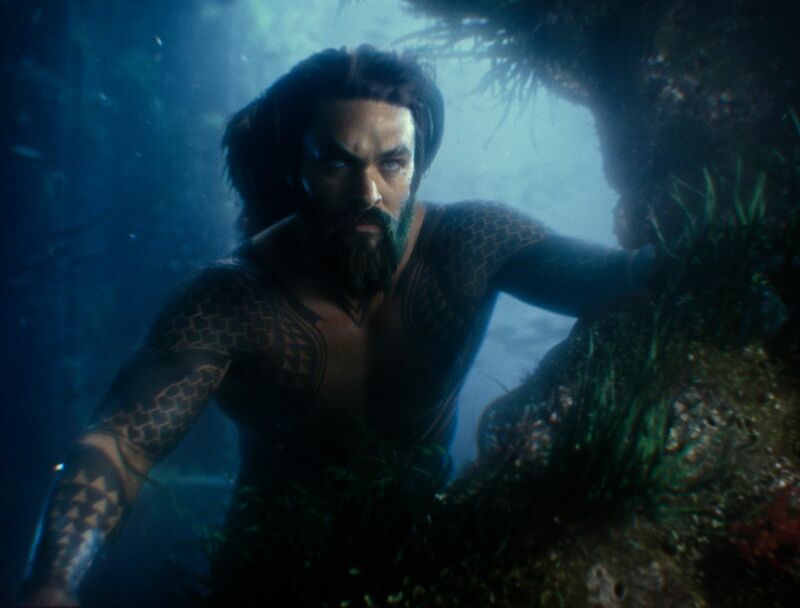 Hopes are high with a well-regarded director in James Wan and rumors of epic underwater visuals and battles that this film will kickstart the next phase of DCEU films. Although I do hope that we will eventually see another Justice League film; the post-credit scene of of the film suggests the formation of the supervillain group, the Legion of Doom. It would be great to see them battling DC’s heroes in a big mash up. Another positive of this shared universe is that we are finally seeing films that have DC characters which were previously ignored in films. Earlier decades were dominated by Batman and that’s about it. This can hurt a brand if it’s focused too much on one character only. In fact that is what happened with the DC films which for the most part were devoted to Batman for a couple of decades. Broadening the scope of DC films has led to the breakthrough of Wonder Woman, probably the most popular film of the DCEU, so far. All of this will let other characters have their day in the cinematic sun like the aforementioned Aquaman, as well as other fan favorites like Nightwing, Batgirl and the Flash. But the one that started it all is also the one that started DC Comics way back in 1938. Appropriately, Superman is the beginning of the DC’s shared cinematic universe and his film Man of Steel is I think, the blueprint that should be followed by the next group of DCEU films. And hopefully we will see another Man of Steel movie, as well. It’s maddening that Warner Bros. keeps announcing new films featuring lesser-known characters while there has been no indication that Man of Steel will have a proper sequel. There are persistent rumors that Supes will be appearing not only in Shazam, but also show up in other DCEU films and be the link the link between the different movies. If this is the case, then the future of the DCEU should end up brighter after its somewhat shaky start. This was not how things were supposed to turn out for Warner Bros. and DC. 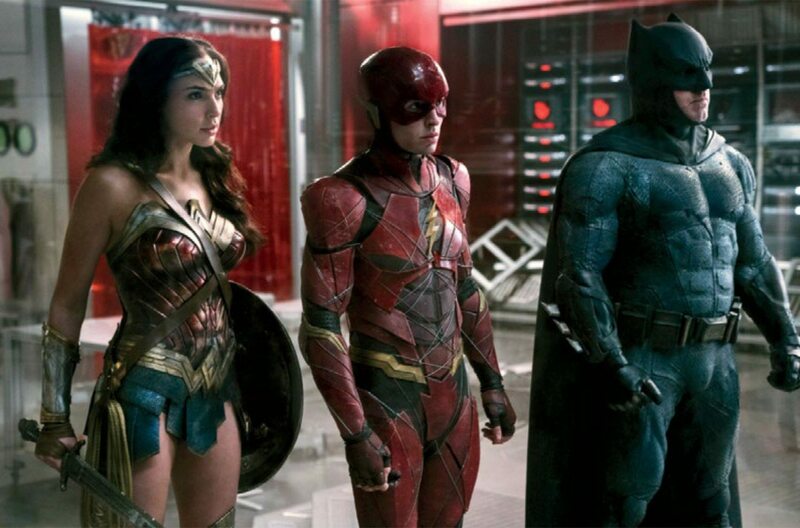 Justice League, the culmination of the studio’s version of their own shared cinematic universe, is not getting the reception they were expecting. 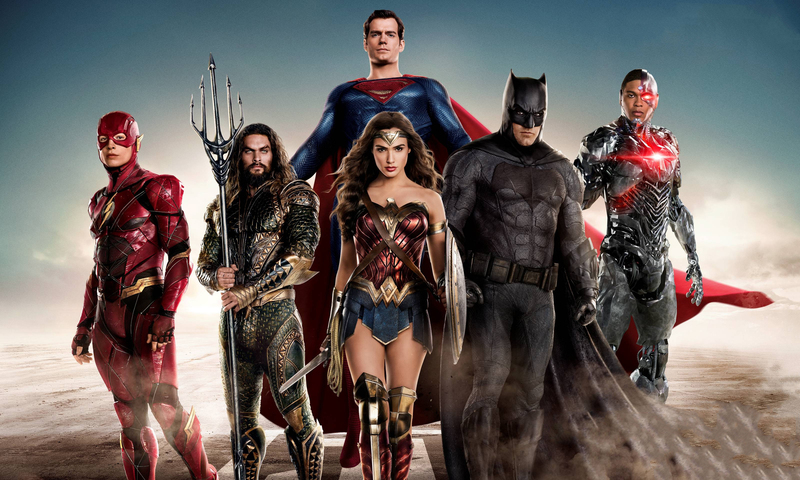 The film’s main selling point was the fact that it featured the long-awaited teamup of DC Comics’ greatest superheroes, Superman, Batman, Wonder Woman, the Flash, Aquaman and Cyborg. However, its opening weekend take was only $94 million, the lowest for any film in the DC Extended Universe (DCEU). It’s being ravaged by critics and it’s not drawing in the numbers it should be. 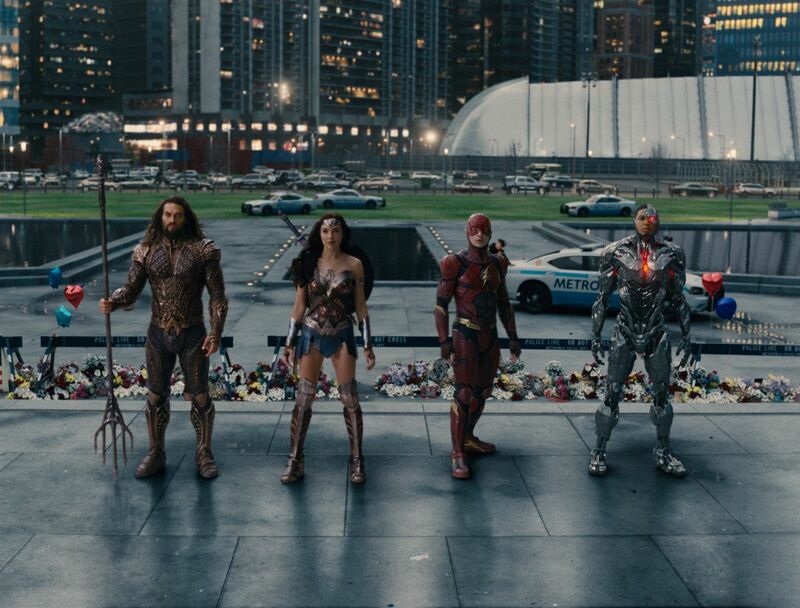 Now, Justice League’s weak performance brings up a very important question, where does the DCEU go from here? It is foolish to think plans for the DCEU will continue as if anything is wrong. Something has to change. Surely, Warner Bros. executives are taking a long, hard look at their superhero franchise and determining how viable it is. Expect announced films to be canceled, new personnel, and other radical changes to the DCEU, including a reboot. The DCEU will not suddenly go away. Right now, Aquaman has finished filming and is slated for next year. Then a sequel for the successful Wonder Woman will certainly be made given Wonder Woman is the DCEU’s biggest hit. A Shazam film is also slated to begin filming next year to join the Wonder Woman sequel for release in 2019. After that things get murky. There will be a Batman solo film directed by Matt Reeves, but that has been mired in controversy. 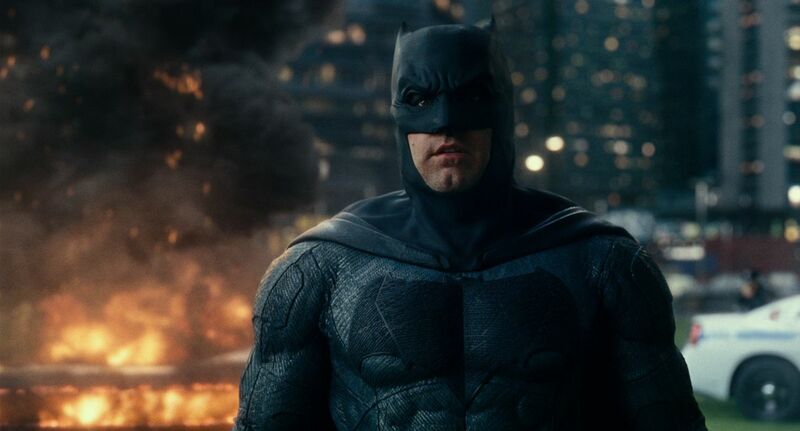 Originally, Ben Affleck was to direct and star in The Batman, but the actor/director has had a falling out with Warner Bros. and first it was announced that he would only star in The Batman. That began the Internet rumblings that he would vacate the role, which is too bad since he is quite good as Batman. Adding fuel to the fire are Affleck’s recent statements suggesting that he is ready to move on from the role. At this point, it may be easier for DC and Warner Bros. to set the film apart from the DCEU. To date, there aren’t any solid plans to give Superman a sequel to Man of Steel and it’s unknown if it will ever happen. Henry Cavill, who portrays Superman, is contracted for one more film and it is possible that Warner Bros. and DC may just have him appear in someone else’s film before recasting the role. It is a shame because Cavill, like Affleck, has done an excellent job in portraying the superhero, but it is not the end of the world. As we saw with Spider-Man it is fairly easy to replace actors, though overall, it is regrettable that we may never see a full evolution of Superman into a beacon of hope as shown in the end of Justice League. Other projects with uncertain fates include Batgirl, Gotham City Sirens, Green Lantern Corps, Cyborg and a Suicide Squad sequel. Given the problems Warner Bros. has had with its core superheroes it may be best to put those projects on hold so they can right their cinematic ship. On a related note, a Flash solo film has been stuck in development hell for years as writers and directors join then leave the project. 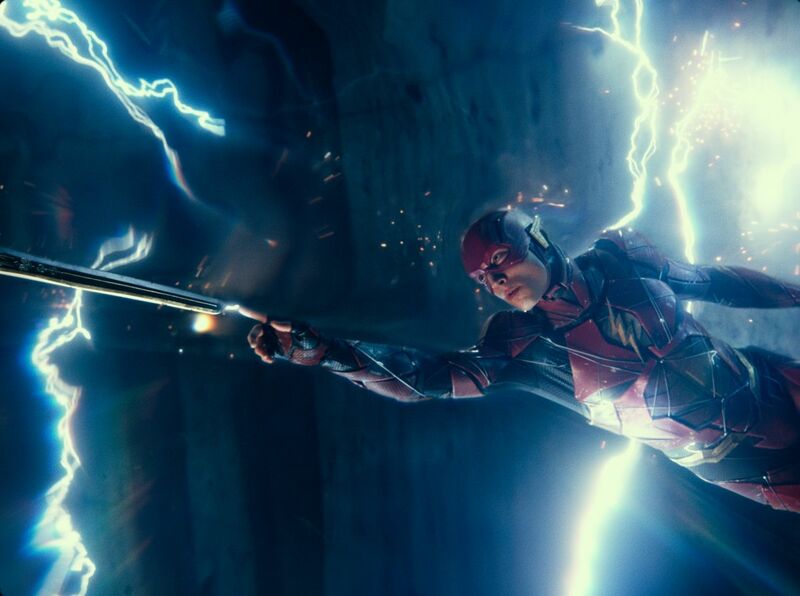 Most recently, the film is supposed to be an adaptation of the Flashpoint mini-series where the Flash time travels and resets the DC Universe. Using this storyline would give Warner Bros. a convenient way of rebooting the DCEU, but the story, with its alternate takes on characters and situations, sounds expensive and may go over the heads of casual viewers. It would be easier for the film studio to just do a hard reboot without any explanation. This has worked in the past for other franchises, and the one instance where time travel was used to reboot a franchise was Star Trek and it left fans with a bad taste. One option for the studio is to repeat what happened with Wonder Woman. The solo film was set in the past and largely apart from the DCEU. Reportedly, the sequel will also take place in the past and this example could be a way to ease out of the DCEU. The same thing can be done with Aquaman and Shazam; remove references to the DCEU and focus on the characters. That is why Wonder Woman succeeded. Concentrate on solo films with little to no references to a larger universe and let the shared universe grow organically. Justice League is the latest film for the DC Extended Universe (DCEU) franchise and I think it is one of the best. Once again, a DCEU film has for some bizarre reason received a divisive reception, but to me this film works on just about every level. The story continues from Batman v Superman: Dawn of Justice and in a nutshell, shows Bruce Wayne (Ben Affleck) seeking out other meta-human super heroes: Wonder Woman (Gal Gadot), Aquaman (Jason Momoa), the Flash (Ezra Miller), and Cyborg )Ray Fisher) to form a team capable of stopping an alien invasion led by supervillain Steppenwolf (Ciaran Hinds). The action and stunts in this movie are top notch and the story is relatively straightforward. Some would say too much so since it is a two-hour film as opposed to Batman v. Superman, which was two and a half hours long. 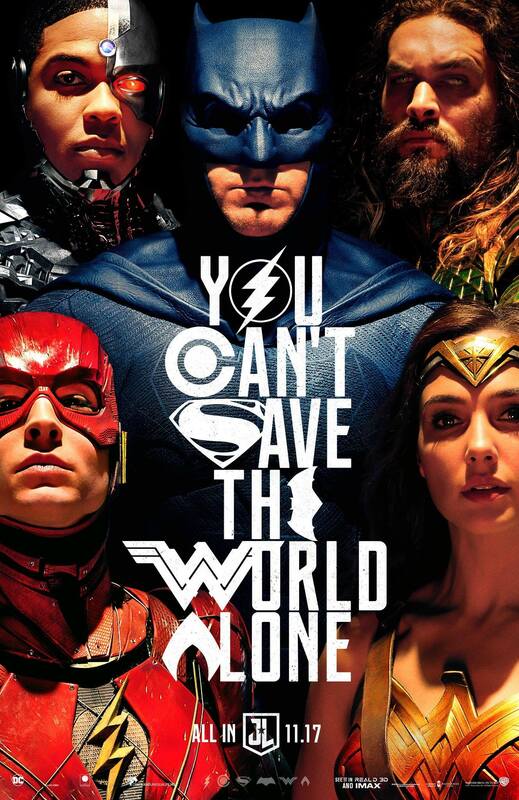 I would have liked to have seen more world-building and perhaps another 10-15 minutes of runtime to do so, but Justice League still did not feel rushed to me. Another complaint I’ve heard is the CGI, especially with Superman’s missing facial hair due to actor Henry Cavill having a mustache during reshoots. There were maybe a few seconds where I noticed this, but it did not ruin any scenes and the rest of the effects in the movie were quite good. Everything from Cyborg’s armor to Steppenwolf’s parademons were all well done. The fight scenes were a thrill to watch and the history lesson shown early in the film that depicts a previous invasion was a special treat since it shows alien Green Lanterns for the first time in the DCEU, as well as massive armies of Atlanteans and Amazonian warriors facing off against the hordes of Apokalips. I do wish this scene was longer to set up the whole invasion storyline, but what we did see was great. The acting was also a positive as the chemistry between the team members was a highlight. 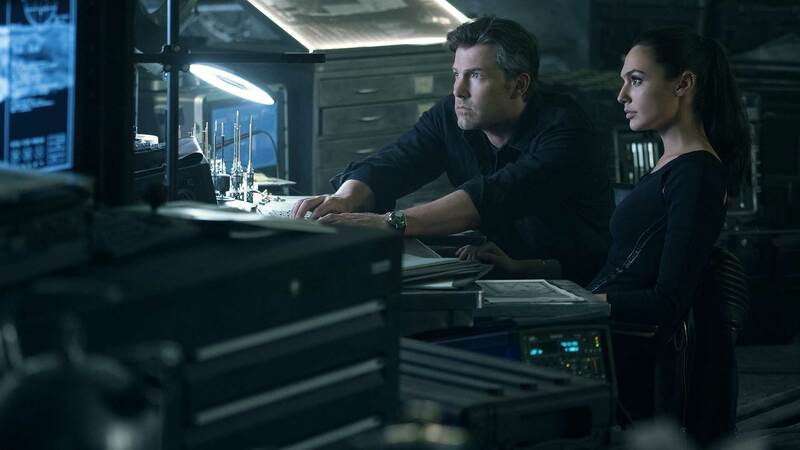 Ben Affleck continues his role as the definitive live-action Batman, Gal Gadot is just as good as she was in this summers big hit Wonder Woman, Ezra Miller(the Flash) provides hysterical comic relief as the youngest member of the team, Ray Fisher is effective as the troubled hero Cyborg and Jason Momoa gives fans a good preview of Aquaman, the next DCEU film in December 2018. The underwater battle sequence shown was a sight to behold and should be great to see for a whole film come next year. Finally, Henry Cavill returns as the iconic Superman. His resurrection is handled well and showcases his awesome powers as things don’t go quite the way Batman planned because Supes isn’t in a good mood when he does wakes up. His eventual return to battling the villains is a great moment and gives fans their first glimpse of the hopeful Superman in the DCEU they’ve been waiting for. I also enjoyed Steppenwolf’s portrayal by Ciaran Hinds. He was a powerful adversary for the League and his parademons were also scary looking henchmen. I did not see him as a weak villain, however I would have liked to have seen more of where he came from, the planet Apokalips, as well as his ruler Darkseid, who is only mentioned but not seen. The tone of this film is lighter than Batman v Superman, and there is more banter between the heroes which is not surprising since Joss Whedon took over from Zack Snyder during reshoots. Most of the quips are amusing and they didn’t take away from the stakes the Justice League faced with the fate of the world hanging in the balance. Batman is a changed character from the previous film since Superman’s sacrifice and death gave him a new outlook on what it means to be a hero. This propels him first to form the Justice League and then to bring Superman back to life when he realizes that the League are overmatched and need the Man of Steel to get them over the top against Steppenwolf and his legion of parademons. 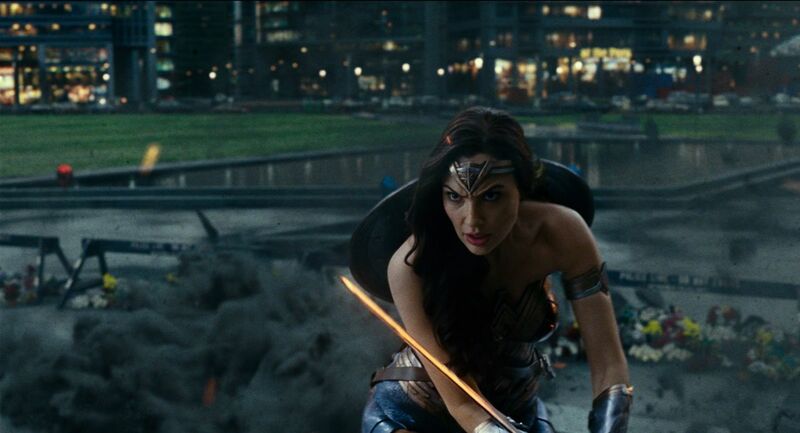 Wonder Woman is shown still dealing with the aftermath of losing Steve Trevor in her solo outing and even argues with Bruce about having to come to terms with your past. I liked seeing this character progression and it seems to bring the heroes full circle from where they started in previous films. Aside from the minor quibbles of the shorter run time and mustaches, Justice League is a film that I definitely enjoyed. The ending sets up further adventures for our heroes and villains with a post-credit scene (SPOILER ALERT!) showing a freed Lex Luthor wanting to create his own group of supervillains starting with Deathstroke. Whether this happens or not is unclear due to the mixed reception the film has gotten. 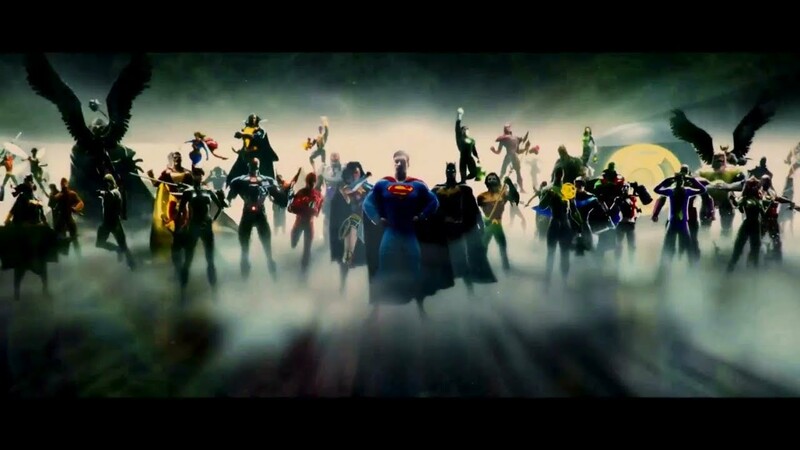 I would love to see another JL film, especially if it features the League battling a rival group of supervillains and having Green Lantern joining the team as the seventh member. New characters joining the league is hinted at in the end and this is something that should be explored in future films. Previous incarnations of the Justice League in both comic book and animated films, plus, characters like Martian Manhunter and Shazam, would be nice to see. In any case, even if this doesn’t happen, it was great to finally have a live-action Justice League film featuring these legendary characters. It was a pure joy seeing them joining together on the big screen for the first time, showing off their amazing powers, and saving the world. Any future team-up movies with them are something we all can look forward to.